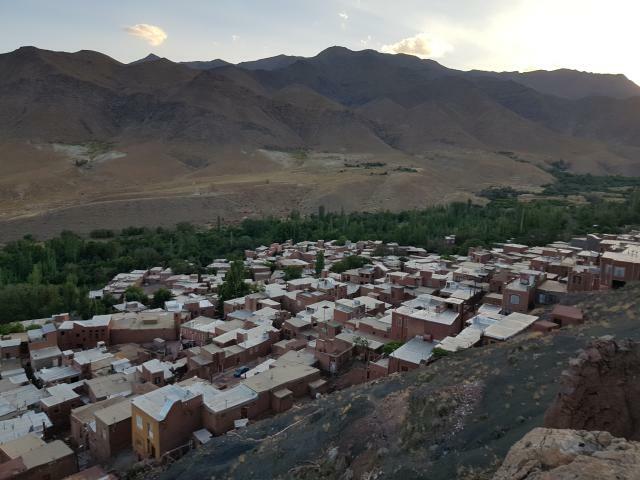 Start from Tehran then choose your end-point; the flexibility makes this 1-Day cultural and discovery tour a very wise choice for the beginning of your Iran journey. 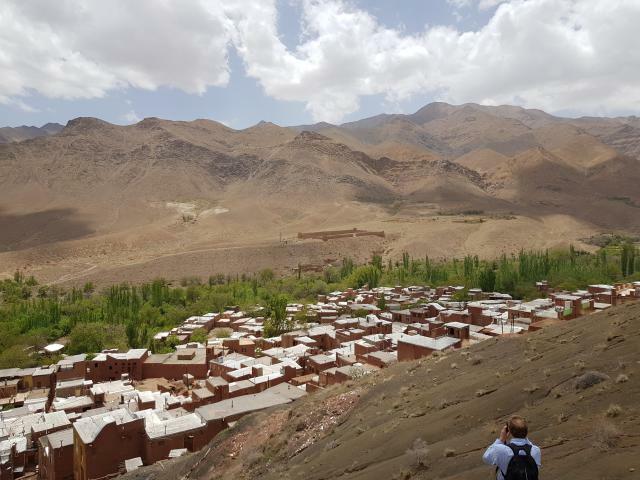 Visiting the religious city of Qom on the way, the tour takes you through Kashan and the awesome red village of Abyaneh. Accommodation is not included while you can choose to have or exclude meals to meet your budget. Guide, transport and snack are among the services. Feel and witness the utmost difference in culture, appearance and social behavior of the people in the most conservative and religious city of Iran: Qom. 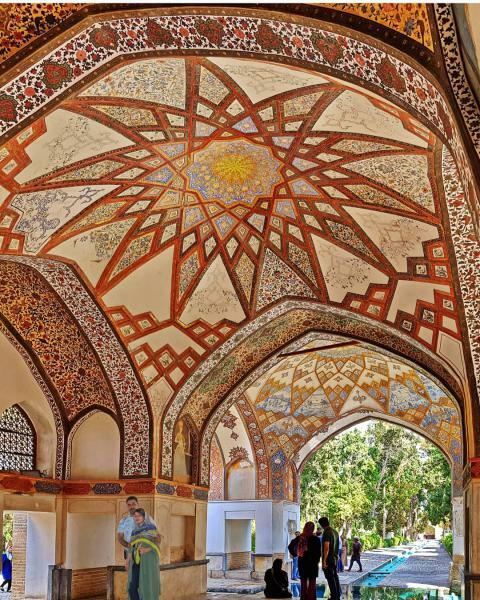 Head to Kashan and get entranced by its awesome architecture and cultural heritage. 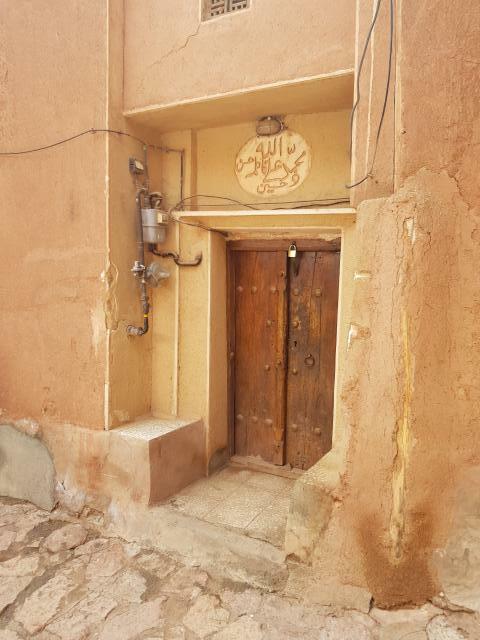 Then, enjoy and refresh your soul in the exceptional tranquility of the red village (Abyaneh) while walking down its narrow alleys with wooden ceilings. 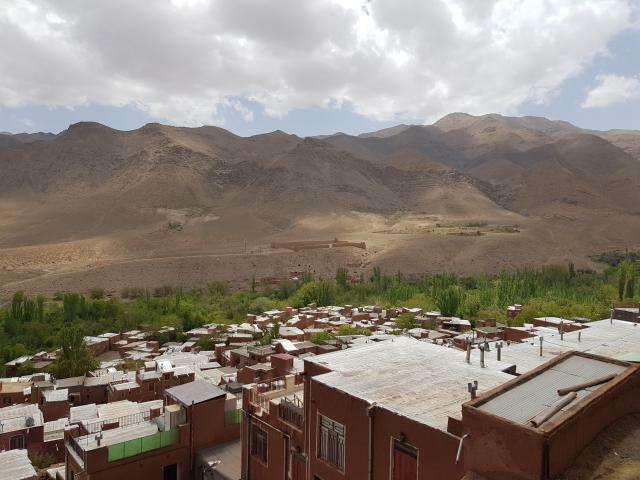 Finally choose to end your tour in either Tehran, Kashan or Esfahan. Note: It is possible to plan this tour for one solo traveler up to a group of 22 people. Our meeting point will be Tehran, in front of Iran Cozy Hostel. We humbly ask you to be ready 15 minutes earlier than departure time. Close to Imam Khomeini shrine, you will stop to have breakfast and have a short break. The monumental structure with its huge dome, tall minarets and all the sparkling decorations is one of the most visited shrines in Qom. Kashan is an amazing city with conspicuous old houses and most importantly the historically and architecturally outstanding Fin Garden. Neither the colorful wall paintings nor the engineered water distribution system is the main reason of the garden's fame. 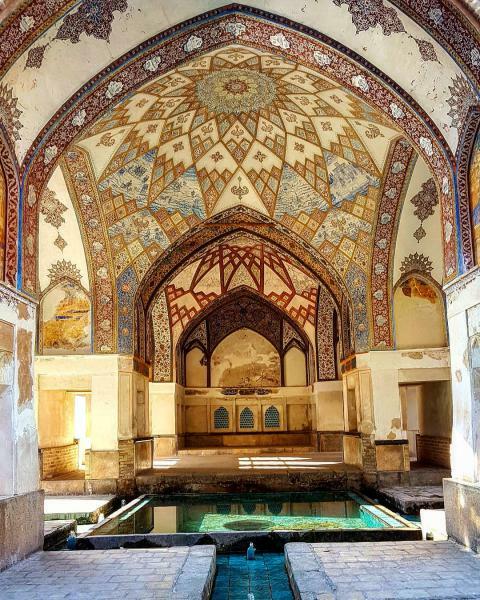 Amir Kabir (Mirza Taghi Khan Farahani), one of the most revered politicians in Iran's history, was killed by the king's order in the bathroom of this garden and this notoriety will not ever be wiped out from its history. Having already chewed some culture and history, it’s time to have real food. Iranian foods are delicious and the guide knows decent places to have quality. Please bear in mind that you may choose excluding the food when booking the tour; in such a case you should buy the food yourselves. 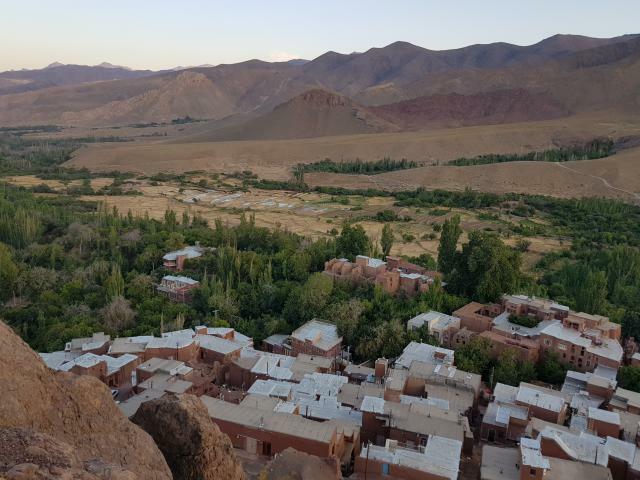 To visit the red village you need climbing for about 10-15 minutes. That, does not need to be fit though. 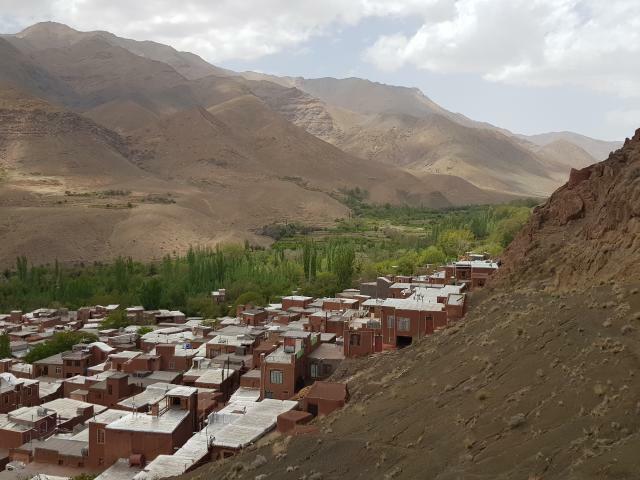 Being one of the region's beauties, Abyaneh is worth any drop of sweat you shed to get there. 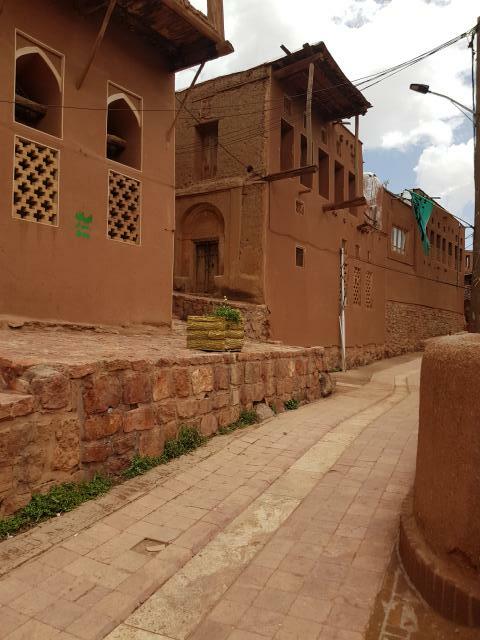 Old wooden doors, narrow alleys and the red clay used to color the buildings, are just some interesting features of this unique village. A glass of tea or a cup of coffee with something to satiate your hunger, prepare you to end the trip well. This special flexibility gives you freedom of choosing where to end your trip. Our wise booking form clearly shows you the difference in prices if you choose different end-points. 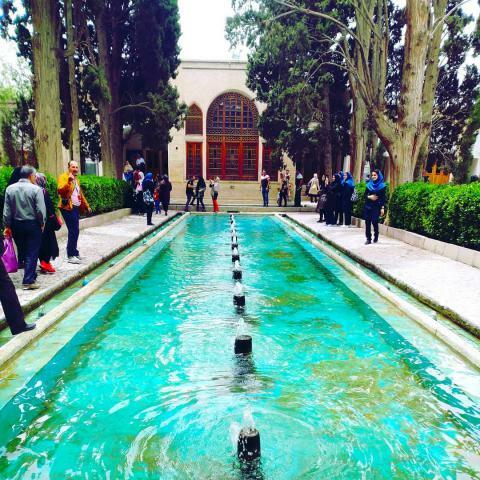 You can easily weigh up your Iran travel plan and appropriately adjust this tour to it. A group up to four travelers, would be transported with a private car and an experienced guide who drives the car too. For a group of 5 to 11 members, a van driver would serve you alongside the guide. Finally, for a big group (up to 22 members), a bus with driver plus two guides would accompany you. As explained, depending of the number of applicants, a private car (1-4), van (5-11) or bus (12-22) would transport you. Snack and two bottles of water is always included. Yet, giving you the freedom to budget your tour, you may choose to have or exclude the breakfast and lunch. The difference in prices, is separately shown in the reservation form. The museum and attractions might require paying entrance fees. Souvenirs and additional foods/drinks that you might want. If you are a group of friends traveling together, the price per person would be very economical. Please bear in mind that you can choose different end-points for your tour. This changes the price, for sure. Price of the guide and driver (that are the same for the tours by car) is already included in the total price. Food cost is not included in the price. You can add it separately. However, snack and two bottles of water are in the services. Tickets, if required by any place, attraction or museum, should be paid separately as it is not included. For the 1-Day tours, no accommodation is planned.